Discussion in 'Big Game Hunting Forum' started by JDK, Feb 15, 2018. 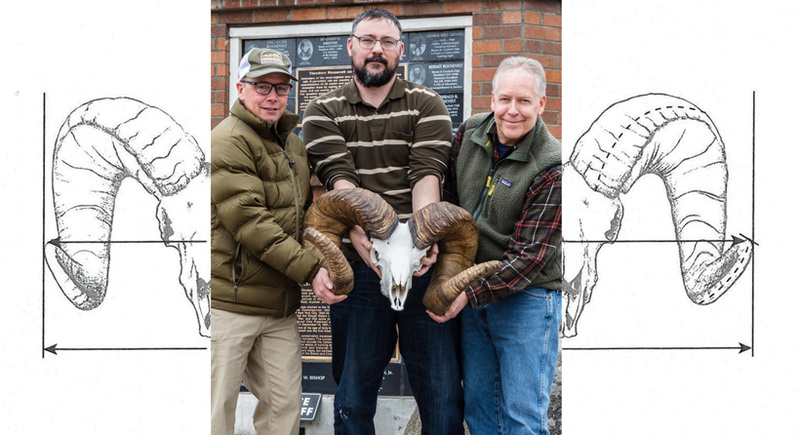 Last week, the Boone and Crockett Club (B&C) confirmed that the bighorn sheep ram that died of natural causes on Wild Horse Island in Montana is a new pending world record. 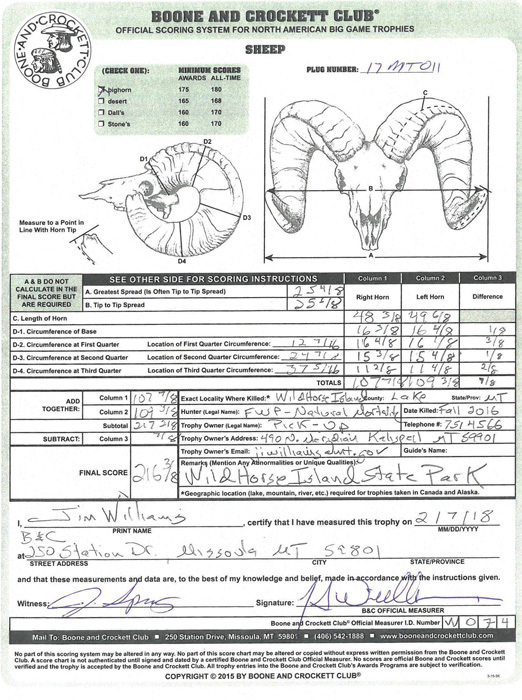 The ram’s skull, which was discovered by Montana Fish, Wildlife, and Parks (MFWP) officials last year along with two others, was officially scored at 216 3/8" B&C. 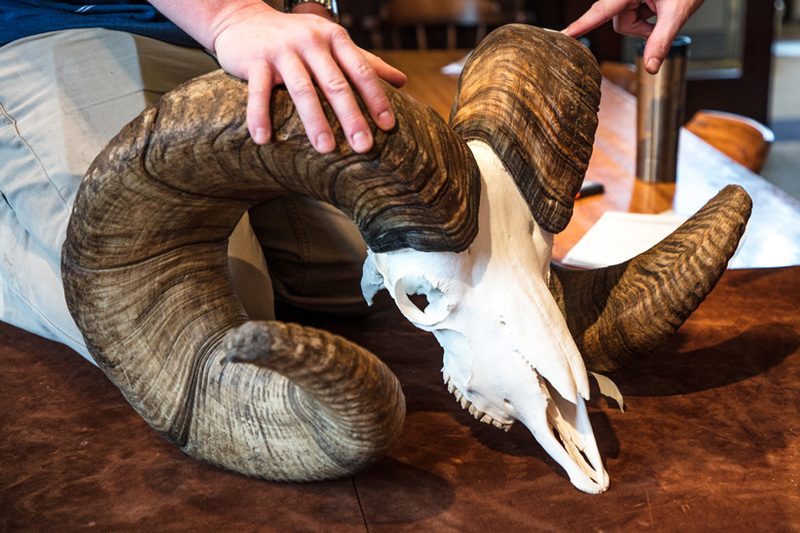 The previous world record ram, which was struck by a vehicle on an Alberta highway in 2010, scored 209-4/8", according to a B&C press release. Now, B&C officials await a certified inspection of the new pending world record ram, which will take place before a special panel of senior B&C officials later this month at the Wild Sheep Foundation’s World Headquarters. MFWP found three bighorn sheep skulls on Flathead Lake’s Wild Horse Island last year. Wild Horse Island is home to roughly 100 bighorn sheep and its 2,163 acres of prairie grasses make it the perfect habitat for bighorn sheep to thrive and grow, which seems to be the case for these particular sheep. The skulls were preserved in a freezer when they were found by MFWP officials and recently completed the 60-day drying period required by B&C before the official measurement can be recorded. The other two skulls have been “officially scored, entered and accepted by B&C at 205-2/8 and 209-0/8,” according to a B&C press release. Cool story, and in this case I'm glad to see the ol' guy got to live out his life, even if he wasn't famous until after he died... but then that's always the case with trophy animals.